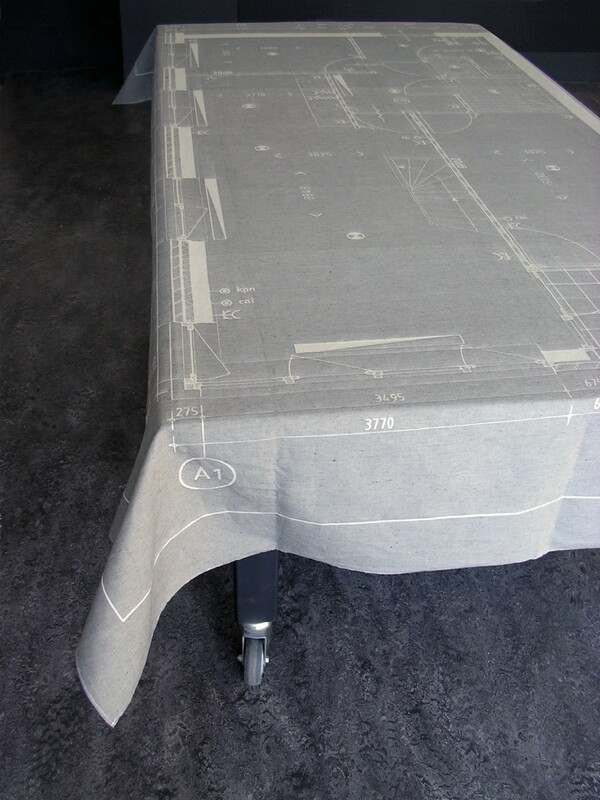 Special events and occasions, such as the completion of a house, used to be marked by having a table damask made as a present for the new occupants. 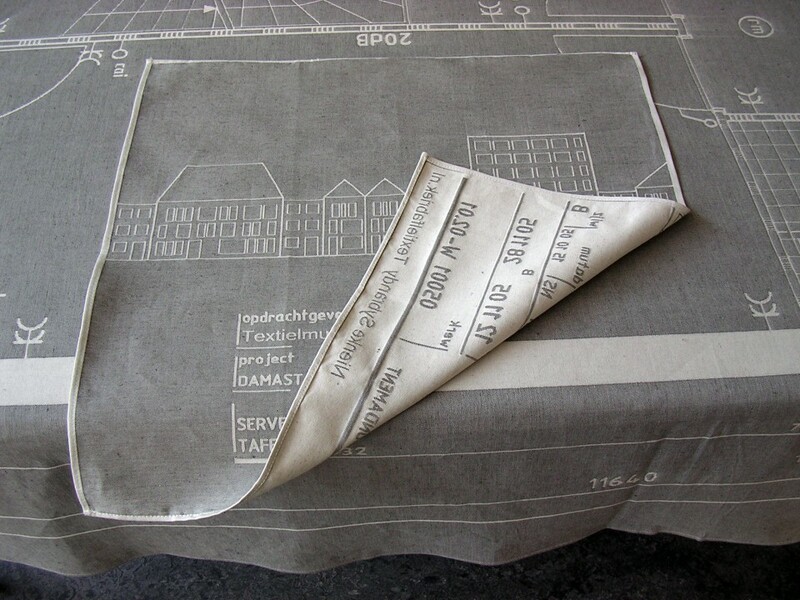 This tablecloth, decorated with a construction drawing, will breathe new life into that old tradition. 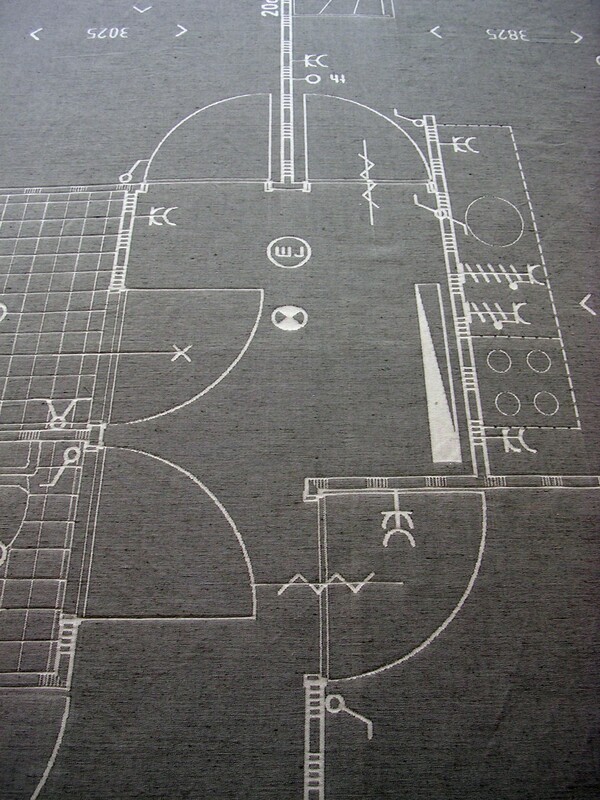 Every house starts out as a two-dimensional construction drawing. 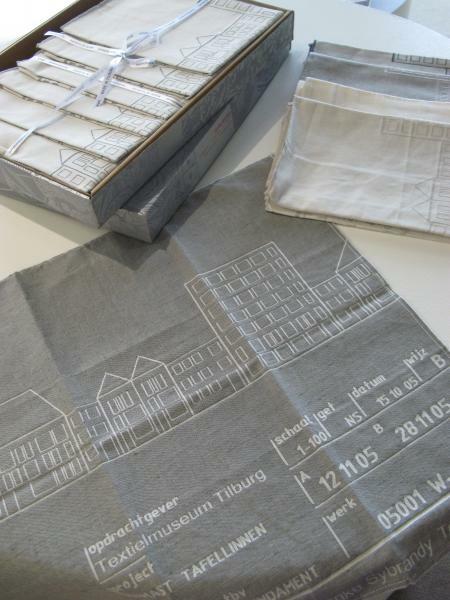 In the construction drawing you can recognize a house, but when you embroider your own name or monogram on it, it will become ‘your’ house. 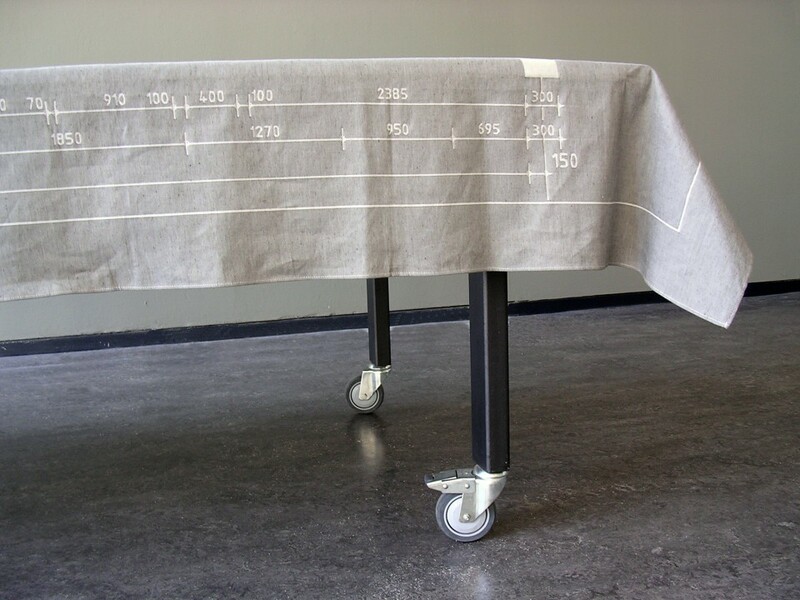 The appearance of this tablecloth shows the interplay of lines and symbols of the constructive and technical drawing. Sitting at a table, you can look at the tablecloth and see the whole house, with the wine bottle on top of the staircase and the salad bowl on top of the bathroom.